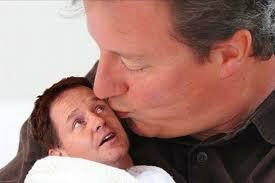 Happy anniversary Mr Cameron and Mr Clegg but forgive me if I don’t send you a card and a bunch of flowers. You’ve been busy in your first year of marriage. Let’s go back to polling day, 6th May 2010. It began with a bang. Literally. I was driving to a school from the office when a bloke walking along the pavement decided, for no earthly reason, to start walking in the road. I had to do an emergency stop to avoid squishing him but the huge refrigerated van behind me didn’t make it and ploughed into the back of my car. I know it’s wrong but I love my car, it cost me a lot of money and because of having a job that involved a lot of driving, was my living. It was now sitting in the middle of the road steaming gently, its rear end caved in. Long story short, the local police patrol stepped in and took over and the man in the road was sent off with a flea in his ear. I went home and went off to vote, still shaken and shocked. Well the van’s insurance company insisted on giving me a fancy hire car while mine was in the garage so I ended up driving around South London in a Mercedes the size of a boat feeling like a drug dealer. A few days later, we heard that you would be joining together in holy coalitionamony . To Mr. Cameron, a boy, Nick. Sadly, however, it was the backroom staff that ended up doing the cutting so they got rid of frontline staff first. Even my line manager got the chop. No one knew how to manage. Over the last few months we’ve seen you cutting children’s centres, school sports funding and local authority staff who work with children, disabled people and the elderly. We’ve seen you put up tuition fees for university students and cut the EMA grant. But we’ve also seen protests and sit ins and the worm turning. 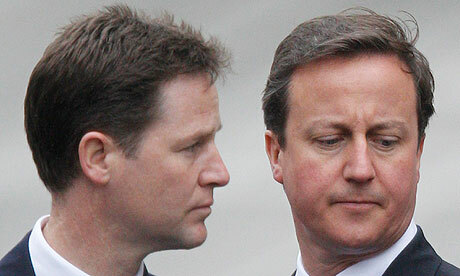 The worm seems to have turned mostly against you, Cleggy but let’s not forget the Dark Lord of the Sith. No disrespect, Dave. But nothing is your fault is it, Dave? You’re till peddling the ‘we inherited these problems from the previous government. ‘Or rather, ‘a big boy done it and ran away.’ No mention of the fact that you were probably rubbing your hands together in glee at being able to restructure local government, the NHS and schools with gay abandon. As for me, my job is a distant memory and I’m working on building my business and being a private entrepreneur like you always wanted. So happy anniversary, boys, and I hope you sleep well at night. PS I’m listening to the radio as I write this. Grant Shapps is saying, ‘we inherited this deficit, it was the fault of the previous government.’ Sigh. Today MPs will vote on whether to raise university tuition fees and Nick Clegg and his fellow lib dems are expected to vote in favour despite being vocal in their election campaign against this (did you see Sarah Teather being chased down the street by a Sky news reporter?). Students have not taken this lying down. 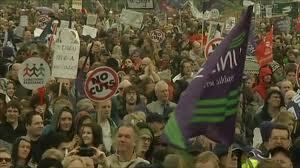 They have been on marches and demonstrations for the last few weeks and another is planned for today. There are sit-ins and protests and banner-waving across the country from university students and school pupils. Yesterday it felt like I couldn’t listen to the radio or the TV news without a conservative student with an accent that could cut glass defending this decision. One young chap on the BBC news sputtered that some students didn’t even fully understand what they were protesting about. I don’t doubt it. I hazard a guess that many of the young people on marches don’t have a full understanding of the situation but what they do understand is that things are Not Fair and they’re going to do what teenagers do best and rebel. Yes, there have been some idiots breaking stuff, graffiti-ing stuff and making a nuisance of themselves and they really haven’t done their cause any favours but the majority are there for what they believe to be a righteous cause. It’s good to see teenagers involved in something that isn’t just vodka-flavoured and the girls who held hands around the police van to stop people attacking it were a joy to see. Proper Citizenship in action rather than a worksheet in a classroom. It will be interesting to see what happens later today. What do readers of this blog think about revolting students? 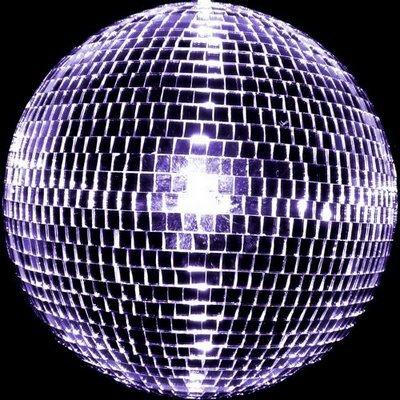 Brucie: Good evening and welcome to Strictly Come Coalition. It’s cuts for you, for you…. Tess: And our first coopool onto the dance floor tonight is Michael Gove and his partner the state school system. Last week the joodges said that his University U turns were unbearable and his fees fleckles were flawed. Can he do any better tonight with his education white paper quickstep? Brucie: Wonderful, wonderful stuff from thingy…er…Michael Gove but what did our judges think. Bruno let’s start with you. Bruno: MMMMMMMMMMMMMMMMichael!!!! That was as wet and drippy as a day old cornetto. It was all over the place. I didn’t-a like it. 4. Craig: O.M.G. Oh Michael Gove. What a disaaaahhhhster, darling. You haven’t listened to a word anyone has said to you, you’ve gone totally overboard on assessment and discipline. Testing at 6, an obsession with synthetic phonics and exclusions all ovvvvvaaaaaaa the place. 2. Brucie: Don’t worry Michael. You’re my favourite. Tess: Wow, harsh comments there from our joodges but what do you think at home? Well, it doesn’t really matter what you think because we’ve decided for you.